Place of Birth: Cambridge, Cambridgeshire, England, U.K.
Ben Barnes is a British actor and musician. He is known for his role as Prince Caspian in the films The Chronicles of Narnia: Prince Caspian and The Chronicles of Narnia: The Voyage of the Dawn Treader, and for starring in the films The Words, The Big Wedding, and The Seventh Son. Ben’s father is English, and from a Christian background. Ben’s mother, who is from South Africa, was raised Jewish (her parents were from Germany and the Netherlands). Ben’s paternal grandfather was named Richard Thomas Barnes. Ben’s paternal grandmother was Patience Elaine Harrington (the daughter of Edward Harrington and Daisy Florence Humphrys). Patience was born in Edmonton, Middlesex, England. Edward was the son of Alfred Harrington and Ellen Johnson. Ben’s maternal grandfather was Emil Peter Becker (the son of David Becker and Anna Tuteur). Emil was born in Kaiserslautern, Germany, to Jewish parents. Anna was the daughter of Benjamin Tuteur, from Winnweiler, Rhineland-Palatinate, and of Ernestine Kissinger, from Bad Kissingen, Lower Franconia, Bavaria. Ben’s maternal grandmother was named Cornelia “Corrie” Havelaar. Cornelia was born in The Netherlands. Through Ben’s maternal grandfather, Ben is a third half-cousin, twice removed, of political figure and writer Henry Kissinger. Ben’s maternal grandfather, Emil Becker, and Henry Kissinger, were third half-cousins. Ben’s great-great-great-great-grandfather, Meyer Löb/Loeb Kissinger, was also Henry Kissinger’s great-great-grandfather. Meyer was married twice, to a pair of sisters. Meyer’s first wife, Marianne David-Stahl, was Ben Barnes’s great-great-great-great-grandmother. Meyer’s second wife, Schönlein/Schoenlein David-Stahl, was Henry Kissinger’s great-great-grandmother. He looks a little Native American. Very exotic. Looks 100% Jewish. so you really don’t believe there are British people with this phenotype? Hmmmm…. He reminds me of Keanu Reeves. I think Andrew Garfield is cuter than Ben. Ben is kind of plain, to be honest. Andrew Garfield looks like a nerdy ostrich. 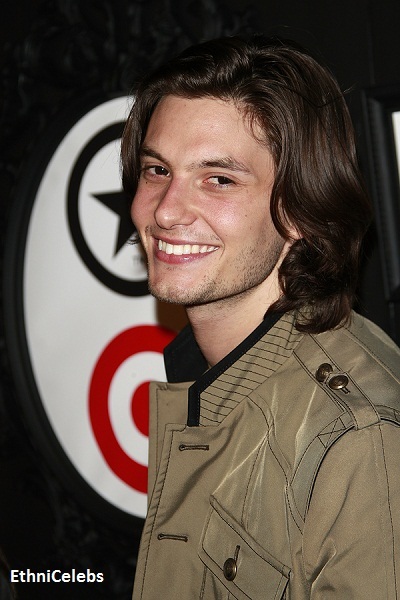 Ben Barnes is attractive.